This is what is happening at Opo Malu junction, when coming through post office area of ilorin, Kwara state. 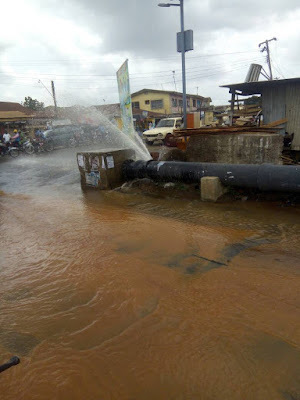 Long time promised water project by the Kwara state government, project tag "Kwara Water Reticulation" which cost the state government Billions of naira. Here is one of the result of the project. 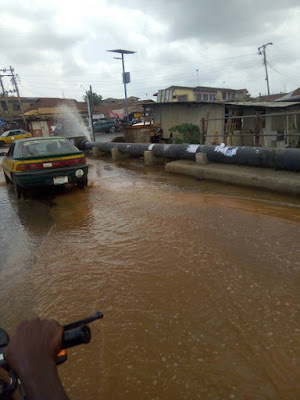 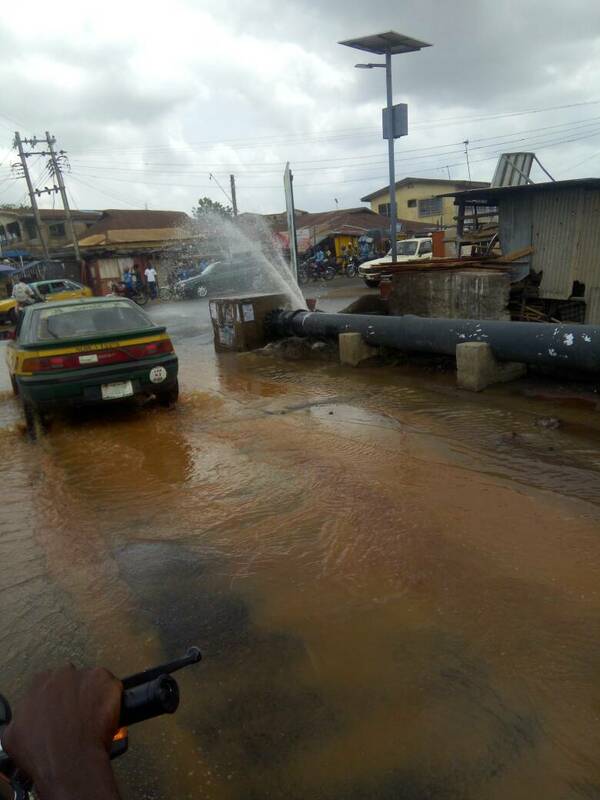 According to the media aide to the state governor few weeks ago, Dr Muhyideen Akorede who said in an interview that the water project will soon start to serve it purpose and which till now we have not yet see it serving it purpose but flooding our streets. But let us assume it is still on a test mode, still we plead on to the appropriate authorities to perfect this job.